My cousin sends me the best emails. There tends not to be a lot of words in them, mainly a website link. These links have helped us find foodie gold over the years and a few weeks ago it was no different. The email heading simply said ‘Can we go please?????? ?’ and the content a link to the most glorious doughnuts I have ever seen. My reply would always be yes. 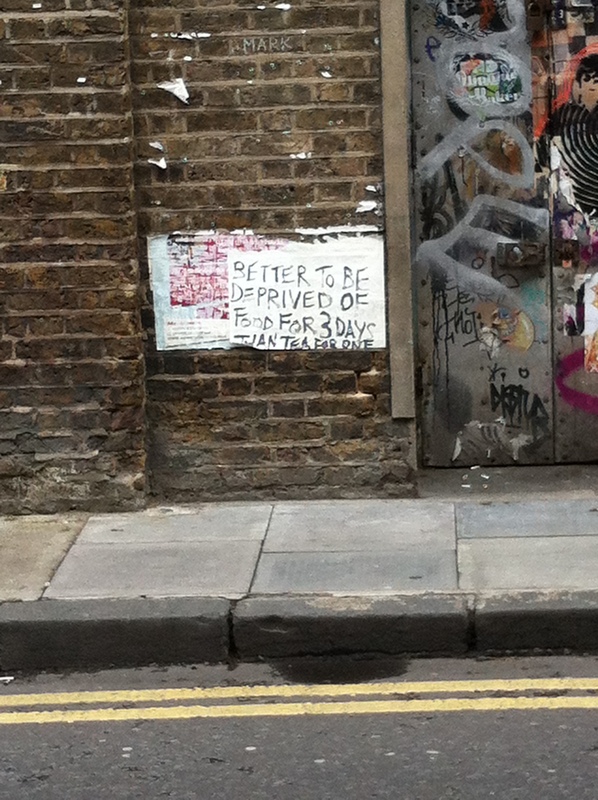 And that is exactly what we did on Saturday after visiting Duck and Waffle. 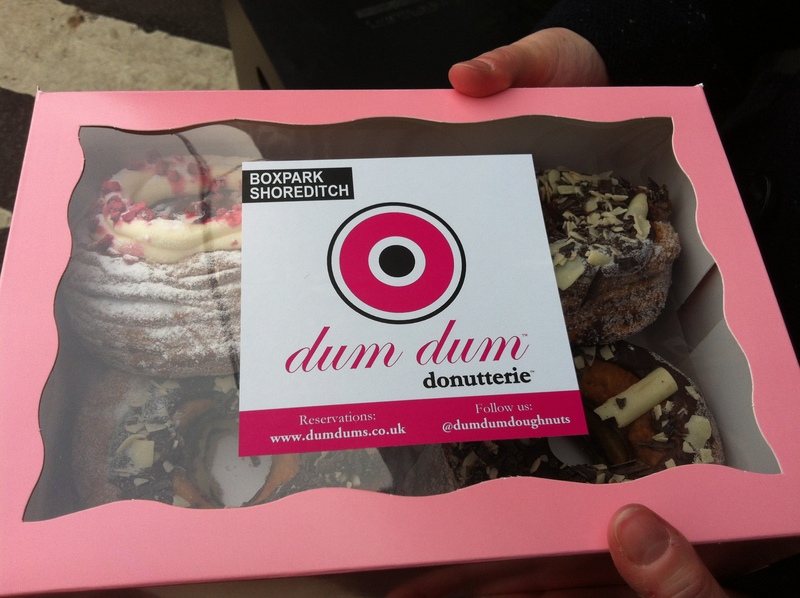 Nestled in old shipping containers in Boxpark, Shoreditch is doughnut heaven. 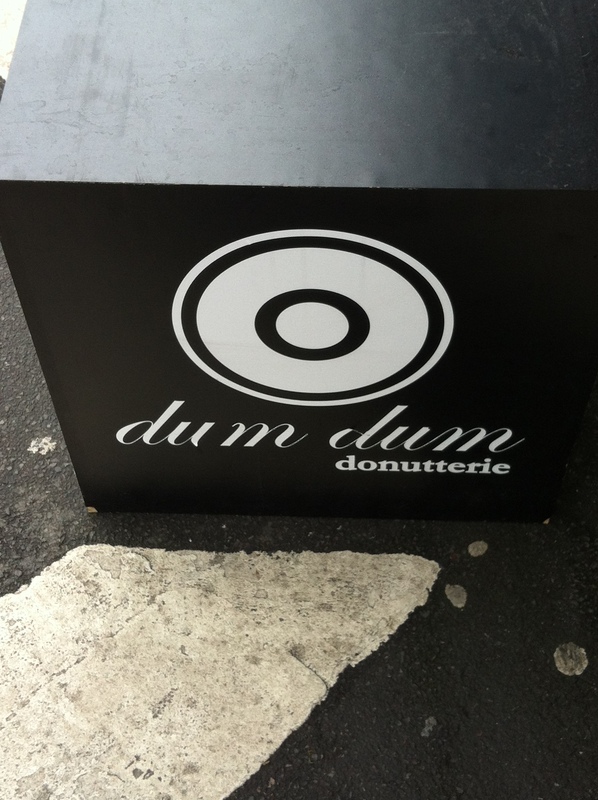 Dum Dum Donutterie was set up last year by Paul Hurley, who has had the most awesome job title of artisan doughnut chef since 1997. I know doesn’t that sound like the best job ever!! Made fresh on site and baking the doughnuts rather than frying means these fluffy little joys as much lighter than your usual heavy beasts. Let’s talk flavours for a moment. They are insane. INSANE. 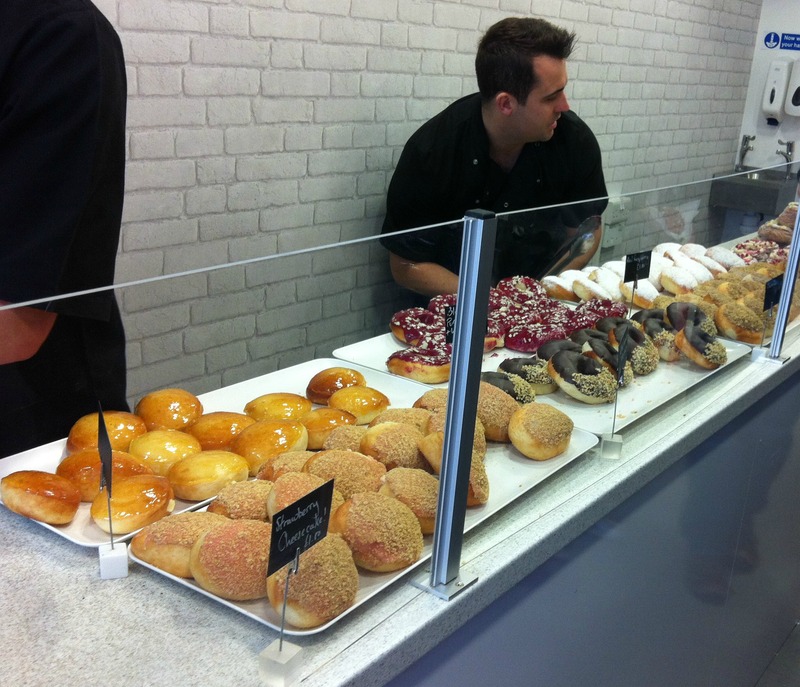 Erm Crème Brûlée doughnut anyone – hell yeah! Strawberry Cheesecake – pass a whole box. Chocolate Ganache and Hazelnut – now I’m dreaming. We stalked our way down the counter when we came across the motherload. Croissant Doughnuts. SAY WHAT?!?! 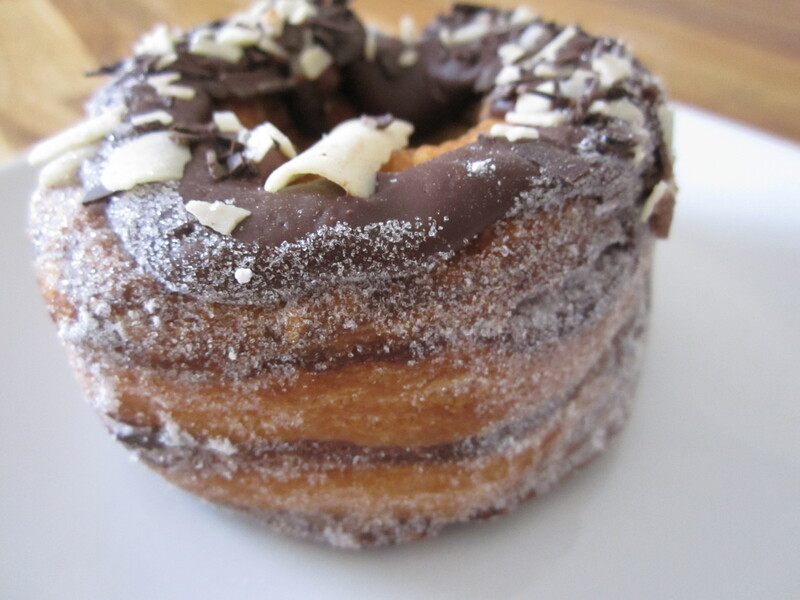 And not your usual boring cronuts, oh no that won’t do. 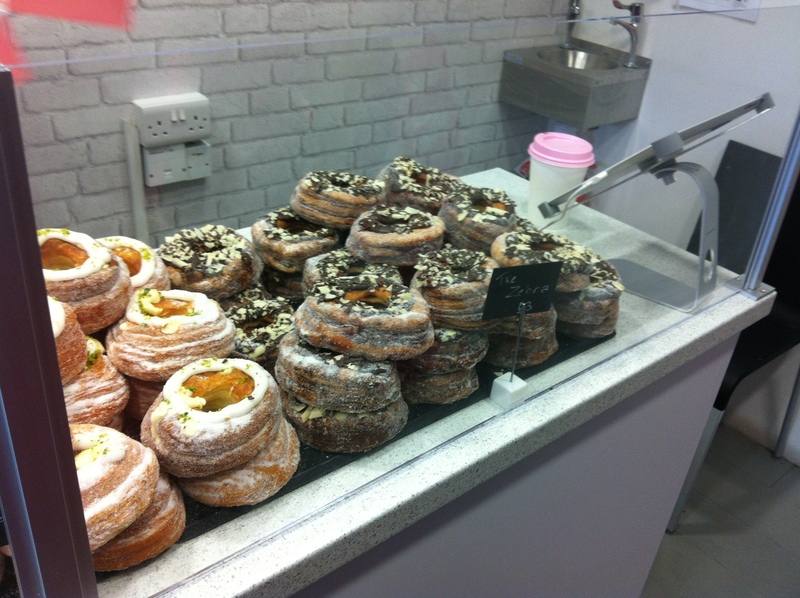 What if I said to you Almond Crème and Pistachio Croissant Doughnut, you would say yes, please! But when you’re eyeballing The Zebra all other options fade away. 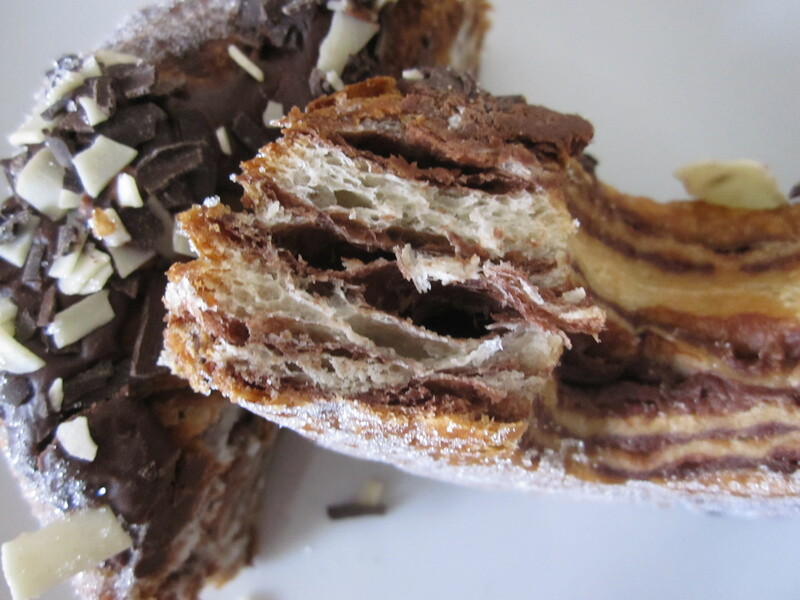 Layers of Croissant dough and chocolate croissant dough. Filled with chocolate butter crème and decorated with dark chocolate – hubba hubba. I mean crazy good. Sell your Grandma for a box of these bad boys good. Gone in an embarrassingly quick time good. Check out the guys at Box Park, as once they are open until they sell out (which I guess makes it a short day for them!) and check out the other foodie containers above and make a foodie day of it. But remember to stock up on doughnuts or you’ll be sad you only bought one!